Vince landed his first credited role in the film "Rudy" (1993). During filming, he met friend Jon Favreau, who was writing a script detailing his life as an out-of-work actor. Vince was written into "Swingers" (1996) by Jon to play the character of Trent. Vince signed on just as a favor to his buddy, not realizing it would be a career changing role. Though not a commercial success, it was a critical success in which Steven Spielberg saw him, and cast him in the big budget sequel "The Lost World: Jurassic Park" (1997). This role would give Vince the exposure he needed to become movie star and for the first time choose the roles he wanted to take. "A Cool Dry Place" (1998) set him as a loving father, "Return to Paradise" (1998) cast him as a man having a to make a life-or-death decision to save a friend, and "Clay Pigeons" (1998) cast him as an interesting serial killer. He was even cast as Norman Bates for the shot-for-shot remake of Psycho 1990. In 2000 he starred in "The Cell", opposite Jennifer Lopez. In 2001, he starred with John Travolta in the thriller "Domestic Disturbance", and starred again with Jon Favreau in "Made". 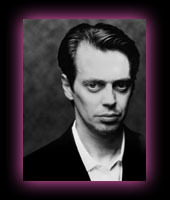 He recently completed work on "Old School" (2002) for Dreamworks. Perhaps best known for her work in critically acclaimed foreign films, Saffron Burrows is set to gain the attention of American audiences with a string of eclectic roles in her upcoming feature films. Burrows recently completed "Hotel" for director Mike Figgis. "Hotel" which features an ensemble of forty actors including David Schwimmer, Salma Hayek, and Burt Reynolds, was shot digitally on location at the Hungarian Palace Hotel in Venice, Italy. The film follows various escapades occurring inside of a hotel; a film being shot, an entertainment news crew tracking the production, a mysterious surgical operation, and a torture chamber located in the basement of the hotel. "Hotel" is produced by Figgis, Annie Stewart, and Etchie Stroh. "Hotel" will premiere at the 2001 Toronto Film Festival. 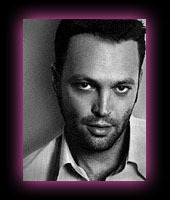 Burrows also stars in Intermedia's romantic thriller "Enigma" opposite Dougray Scott, Kate Winslet and Jeremy Northam. Based on the international best selling novel by Robert Harris, "Enigma" was adapted for the screen by Tom Stoppard, directed by Michael Apted and produced by Mick Jagger's Jagged Films and Lorne Michaels' Broadway Films. "Enigma" premiered at the 2001 Sundance Film Festival, and it will be released in the United States in April 2002. Burrows was last seen starring in title role of Mike Figgis' film adaptation of the classic play, "Miss Julie." Based on Helen Cooper's adaptation of August Strindberg's 1888 play about sexual repression and class schisms, the film follows an aristocratic young woman who encourages her father's social climbing valet to seduce her. After the sexual thrill is gone, they realize they have nothing in common and the woman finds she now must struggle with the consequences of her actions. Produced by Etchie Stroh's Moonstone Entertainment, the film was shot on location in London. Burrows also starred in Figgis' experimental feature, "Time Code: 2000." 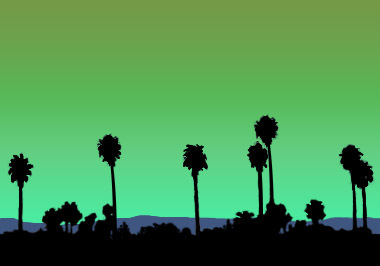 An intense psychodrama set during the course of one day in Los Angeles, the film features improvisational techniques and digital cameras. Burrows was part of an eclectic ensemble cast which included Salma Hayek, Kyle MacLachlan, Julian Sands, Stellan Skarsgard, Laurie Metcalfe, Steven Weber, Alesandro Nivola and Jeanne Tripplehorn. 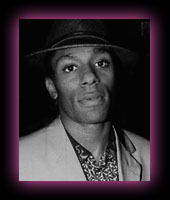 Burrows recently completed work on the British thriller, "Gangster No.1" Directed by Paul McGuigan, from Johnny Ferguson's screen adaptation of the play of the same name, the film is set in Soho during the 1960s and follows a battle of wills between London's leading gangster and the young apprentice who wants his position. Burrows stars with Malcolm McDowell, David Thewlis and Paul Bettany. Previously, Burrows starred in the Australian romantic comedy, "Hotel De Love," as a young woman who becomes entwined in a love triangle with two brothers. Directed by Craig Rosenberg for Live Entertainment, the film also starred Aden Young and Simon Bossell. 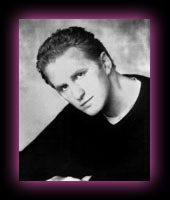 Burrows' other film credits include Renny Harlin's "Deep Blue Sea" with Samuel L. Jackson, Mike Figgis' "The Loss of Sexual Innocence", Chris Roberts' "Wing Commander" with Freddie Prinze Jr., and Matthew Lillard, Gary Tieche's "Nevada," with Amy Brenneman and Kirsty Alley, Jon Harmon Feldman's "Lovelife" with Sherilyn Fenn and Jon Tenney, Mike Figgis' "One Night Stand," Mark Joffe's "The Matchmaker," opposite David O'Hara and Janeane Garafalo, Pat O'Connor's "Circle of Friends," opposite Chris O'Donnell and Minnie Driver, Jim Sheridan's "In the Name of the Father," opposite Daniel Day Lewis, and Ngozicah Ohwurah's "Welcome to the Terra Dome. For television, she starred opposite Albert Finney in Renney Rye's acclaimed productions of Dennis Potter's ("Pennies From Heaven") "Karaoke," for the BBC, and "Cold Lazarus," for Channel 4 Britain. Other television credits include Antonia Bird's "Full Stretch," Simon Cellan-Jones' "Rik Mayall Presents: The Big One," and Gerard Verges' "Meutre en Ardeche." For the stage, Burrows recently appeared in Tasmin Oglesby's "Two Lips Indifferent Red." A native of Great Britain, Burrows speaks fluent French and Italian. She currently divides her time between London and Los Angeles. Barbara Hershey is currently being lauded for her work with co-stars Geoffrey Rush and Anthony LaPaglia, in Lion's Gate's critical favorite, "Lantana". Reviewers have proclaimed that Hershey delivers a "top-notch" performance of "profound humanity" in the Australian mystery-drama that has been called "one of the best surprises of the season. 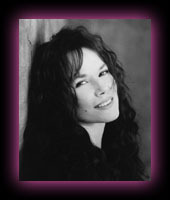 Prior to "Lantana", Barbara Hershey received both Academy Award and Golden Globe nominations for her performance in Henry James', "Portrait Of A Lady", directed by Oscar winner Jane Campion. Her portrayal of the complicated and enigmatic "Madame Merle," considered to be one of the best characters in literature, won the L.A. Film Critics and National Society of Film Critics Awards for Best Supporting Actress. Critically acclaimed for a remarkable series of performances for some of the industries most respected directors, Barbara has also had the unprecedented honor of winning the Best Actress award at the Cannes Film Festival two years in a row. From the beginning, Barbara brought a unique blend of intelligence and sensuality to the screen. She caused a sensation with her performance as a sexually promiscuous tease in "Last Summer", and then went on to star as a surrogate mother in James Bridges' controversial drama, "The Baby Maker". Barbara then played a barefoot train robber from Arkansas in Martin Scorsese's directorial debut, the depression era feature, "Boxcar Bertha". "The Stuntman" marked Barbara's transition from ingenue to leading lady. Starring opposite Peter O'Toole, and directed by Richard Rush, the film was nominated for an Academy Award and has since gone on to reach cult status. She next starred opposite Robert Redford as an insane fan in Barry Levinson's, "the Natural". Further demonstrating her versatility, Barbara played the role of a repressed schoolteacher opposite Gene Hackman in "Hoosiers" and then portrayed Chuck Yeager's wife "Glamorous Glennis" in Phil Kaufman's highly regarded, "The Right Stuff". The next milestone in Barbara's career was Woody Allen's classic, "Hannah And Her Sisters", in which she portrayed the befuddled and vulnerable object of Michael Caine's desires. Balancing her dramatic roles with another comedic turn, Barbara worked again with Barry Levinson in "Tin Men" as the sweet, but not too bright wife of Danny De Vito. Her tough, hard-bitten Bayou woman in Andre Kon&alovsky's, "Shy People" garnered her first Best Actress Award at the Cannes Film Festival. The following year, her portrayal of a South African anti-Apartheid journalist in "A World Apart" won her a second Best Actress Award, an accolade that has been accorded no other actor in the history of the Festival. Barbara reteamed with Martin Scorsese in his extraordinary and controversial adaptation of "The Last Temptation of Christ", and earned a Golden Globe nomination for her portrayal of Mary Magdalene. She went on to star in Garry Marshall's hugely popular hit, "Beaches", as Bette Midler's terminally ill best friend. Other notable film credits indude the nyphomaniacal Duchess in "Splitting Heirs" with Eric Idle and John Cleese, the glamorous 1940's nightdub owner opposite Joe Pesci in "The Public Eye", the wife of a psychopath in Joel Schumacher's, "Falling Down", and Dennis Hopper's shadowy and abused wife in "Paris Trout". In the thriller "Defenseless", Barbara worked again with Sam Shepard, and in the comedy, "Tune In tomorrow" (aka "Aunt Julia and the Scriptwriter") opposite Keanu Reeves. 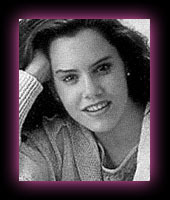 On television Barbara received unaniinous praise by critics for her brilliant performance as a suburban axe murderess in "Killing in a Small Town", for which she won both the Emmy and the Golden Globe Best Actress.